Our 2018-2019 265-page buyer’s guide is dedicated to food, beverage and water testing. Featured are many exclusive and hard-to-find items. Request your copy today! This 51-page Brewing Industry Catalog features some of our most popular products for the brewer’s lab. Request your copy today! You’ll receive Electronic Frequent Buyers points – called Lab-points – with every purchase of $50.00 or more from Weber Scientific. For every $50.00 in purchases, you will receive 10 Lab-points. Collect and redeem these points for a variety of terrific FREE gifts. We’ve just added several to our program. So, order your FREE copy of the latest edition of our Frequent Buyers catalog. The most advanced sensitivity and detection sanitation hygiene system available. Only Kikkoman’s new LuciPac A3 Sanitation System, distributed by Weber Scientific, detects ATP+ADP+AMP with one swab to give you the whole picture. Its patented A3 technology has been proven to detect residues and microorganisms that others miss. The AllergenControl™ LFD Detection Kits Brochure lists 44 detection kits to test for allergen residue in milk, cheese, eggs, gluten, peanuts, soy, soy milk, coconut, coconut milk, M-Gluten, and other kits are available by request. These high quality devices are fast and simple to use. Used for qualitative analysis of food and environmental surfaces. Weber DB™ pre-filled dilution bottles are sterile, leak-proof, and easy-to-use. The Weber DB™ has been improved to allow fast and accurate pH confirmatory results using standard pH measurement technique. The bottle is Gamma irradiated for a 10-6 sterility assurance level. The natural polyethylene cap has a tamper evident sterility strip much easier to open than shrink bands. The lettering on the side of each bottle is color-coded for easy identification. The disposable PET plastic bottle has glass-like clarity, is extremely strong and very economical per use. Hygiene monitoring swab systems from Hygiena® offer quick and easy ways to accurately monitor the cleanliness of food equipment surfaces to help ensure food safety and product quality. A surface may visually appear clean but could still contain traces of food residue, providing a major nutrient source for harmful microorganisms to grow. Find out rapidly if a surface is thoroughly clean, allowing corrective action to be taken on the spot. By testing regularly you can minimize the risk of foodborne hazards as well as maintain the high quality and long shelf-life of your products. 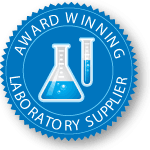 Now more economical than ever, you can realize big savings by using Colilert or Colisure as a one-step method for your water quality and compliance testing. With less than one minute hands-on time you’ll get results for total coliform as well as E. coli in 18 or 24 hours! These tests are much easier than other standard methods procedures and are more accurate!